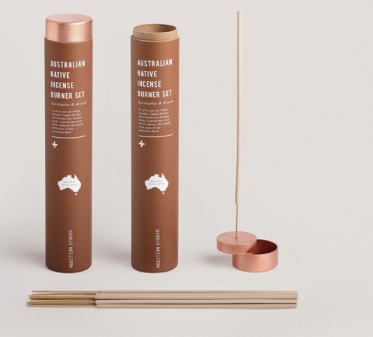 'Capturing the essence of the Australian Outback, our Native Series combines local flora & fauna as key ingredients in a range of therapeutic, relaxation, & beauty products which are based on simple daily rituals. 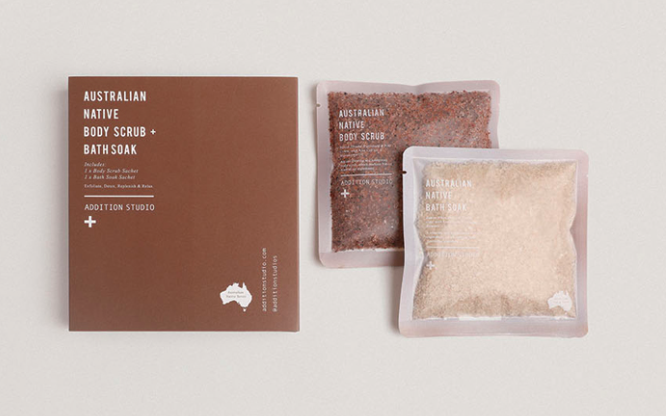 All products are made from Natural Australian Ingredients. We use no artificial colour, fragrance, glycols, paragons or mineral oils, sodium laureate surfaces, or mineral oils. Tested on humans.' - ADDITION STUDIO. Addition Studio is a multifaceted, refined Design Studio, creating pieces that are essential to both visually inspire and decorate a space as well as cleanse the mind and inflict creativity. Recently branching out in to the luxury relaxation and beauty essentials market - they have created their 'Australian Outback' range - inspired by traditional, Indigenous natural remedies to cleanse the skin and calm the mind, the colours of the Australian landscape, the rich aromas of the native flora as well as memories of the designers' past experiences in the Aussie outback - The scents when camping in amongst the Spring flora, the calmness and tranquility that comes with sitting back and embracing the stunning, natural landscape and drowning in the smells and sounds. This range of essentials, along with their motivating and healing crystal packs are available at our very own Floral Harvest in Belmore St - be sure to test it out, the smells bring such a remindful, relaxing ambience of the camping and travels I've done in outback AUS - it's an uplifting, stimulating feeling as you take the scents of the products in and try to identify the ingredients. What better way to glorify the true beauty and essence of our Country and it's natural, organic, botanical offerings than to offer everyday products made purely from those natives that we can all introduce to our homes. Add this blog link to your social media platforms and/or webpage for your followers to see what is hot off the press and who is talking about your business! Just send us an email by clicking 'Contact' at the footer of the page.